Ever worry you might not get paid for your work on time? In full? At all? Ever consider you could be let go for no good cause, and forfeit PTO or commissions as a result? Ever wonder what would happen if your partner or personnel decide to leave and compete with you directly or through a competitor in the area coming in. Would you lose business? Prospects? Pricing advantages? Growth opportunities? Would you have sufficient capital? Will your lenders continue to back you? Will your competitors see you as vulnerable and seek to prey on the business? Ever consider how to address getting sued by vendors you deal with? How to limit your exposure? How to maximize insurance coverage? How to hasten collection and minimize back and forth over it? And avoid paying attorney fees when winning? As well as when confidentiality and non-disparagement need to be protected against. Contact our business attorney in Philadelphia today to discuss your case and determine the best options available to you. 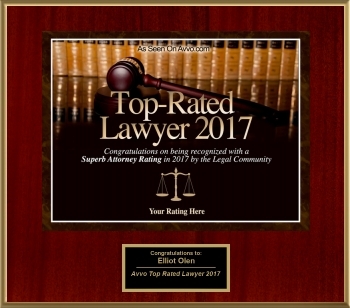 Olen Law Firm is prepared to handle your case with the attention and professionalism it deserves.